Provider-based department regulations continue to evolve, and the changes ahead for 2018 are no exception—making it hard to ensure appropriate reimbursement and remain compliant. Keep your entire team on top of the latest in provider-based determinations, claims issues, modifiers, and more with this live virtual workshop. During the first part of this three-hour on-demand workshop, Medicare regulatory expert Kimberly A. Hoy Baker, JD, CPC, will help participants break down recent changes and developments. The second part of the workshop will offer insight into 2018 outpatient prospective payment system final rule changes that may impact provider-based departments as of January 1. Reimbursement under Section 603 of the Bipartisan Budget Act of 2015 and an analysis of freestanding versus provider-based departments will also be covered in this part of the program. The final part of the workshop will contain case-study discussions of provider-based claims issues and will include explanations of the proper application of modifiers for provider-based departments. 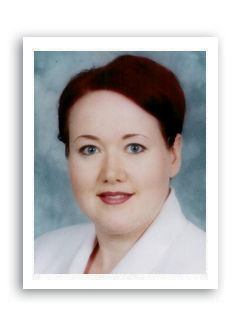 Kimberly A. Hoy Baker, JD, CPC, is the director of Medicare and compliance for HCPro. She is a lead regulatory specialist for HCPro's Revenue Cycle Advisor and is the lead instructor for HCPro's Medicare Boot Camp®—Hospital Version, Medicare Boot Camp®—Utilization Review Version, and HCPro’s Medicare Boot Camp®—Provider-Based Department Version. She is a former hospital compliance officer and in-house legal counsel and has over 25 years of healthcare experience, including 10 years of experience teaching, speaking, and writing about Medicare coverage, payment, and coding regulations and requirements.